GITT - Centre on Innovation Management and Technology Transfer, Università degli Studi di Bergamo, Via Salvecchio 19, Bergamo 24129, Italy. The reliability of any mechanical system, in which the linear displacement of a piston is converted into the rotation of a power transmission shaft, strongly depends on the reliability of the crankshaft. The crankshaft is the critical component and any damage occurring to the crankshaft may put the mechanical system out of order. The numerical finite element simulation of crankshafts with multiple rods is often time consuming even if quite accurate if the aim is to evaluate the stress-strain behavior at the notched area and verify the component. The development of a simplified numerical model would prove effective to reduce the time needed to reach a good approximation design of the crankshaft. 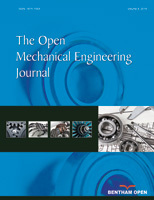 The aim of this paper is to give the designer a numerical procedure that allows to determine the strain and stress state and verify crankshafts having two or more rods.